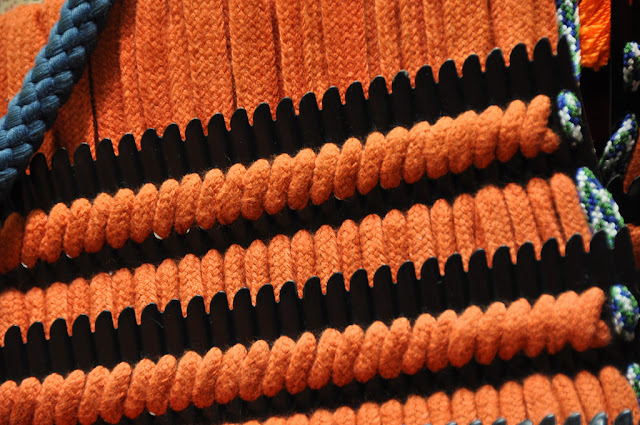 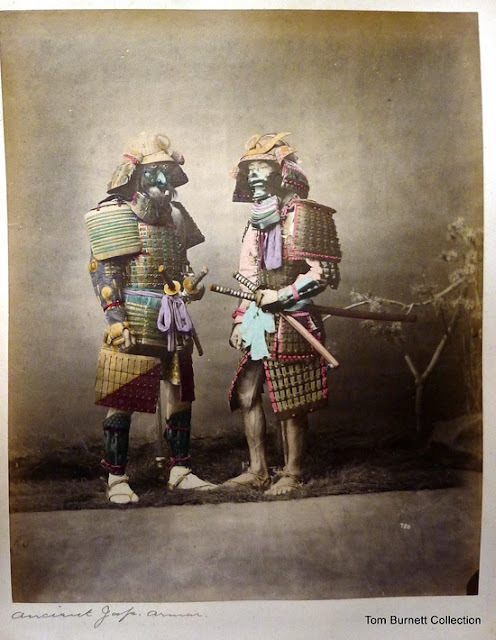 I received an e-mail last week from someone interested in what specific inspiration I used to make the samurai armor for my son, and I thought it would be cool to share some of the images we looked at while working on the project. 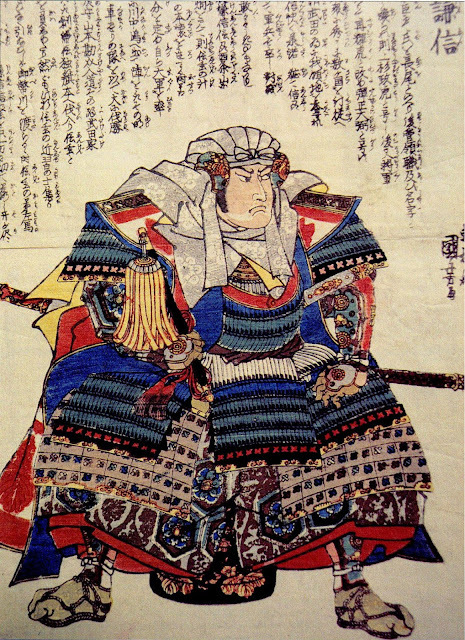 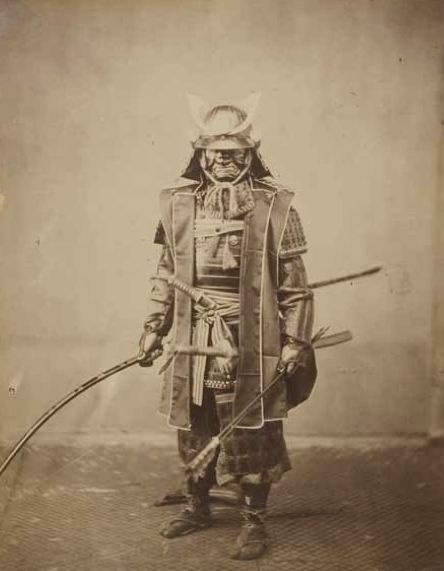 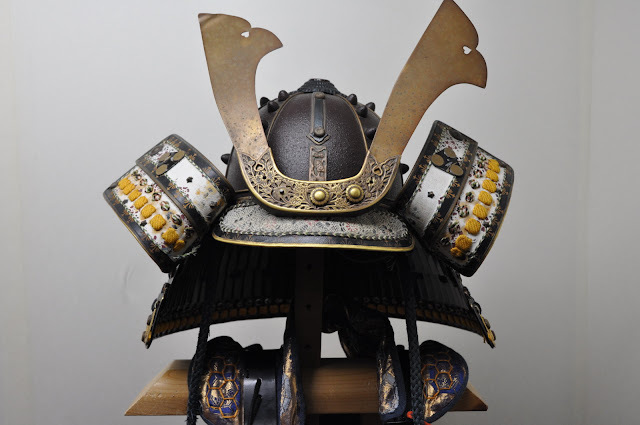 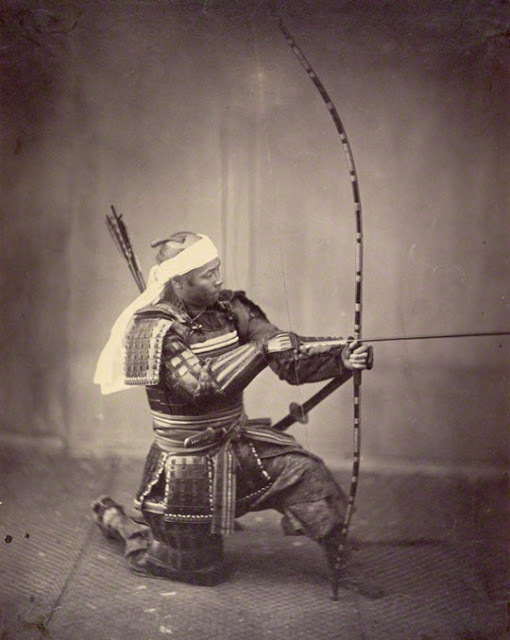 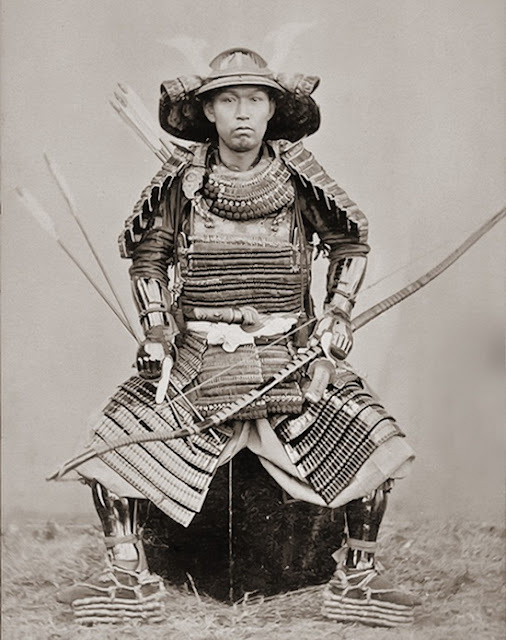 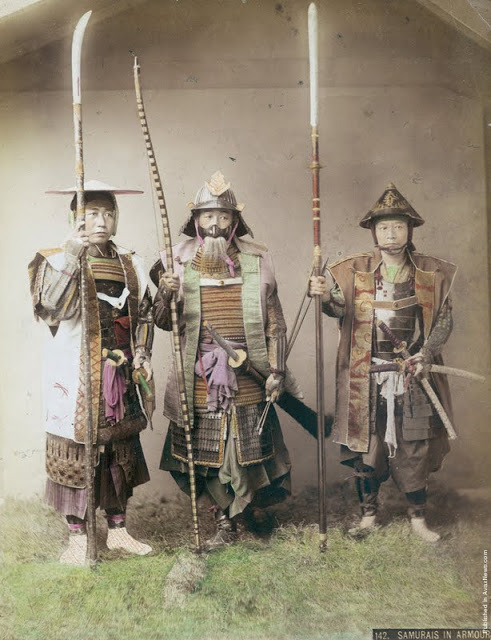 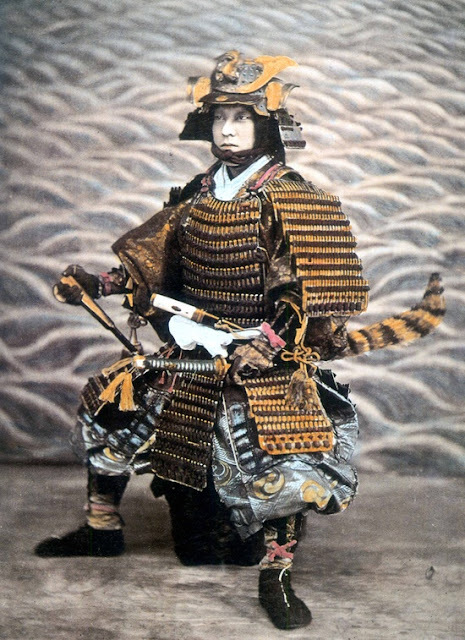 First we looked at examples of samurai armor on the websites of museums that have actual armor in their collections, trying to see as much detail as possible. 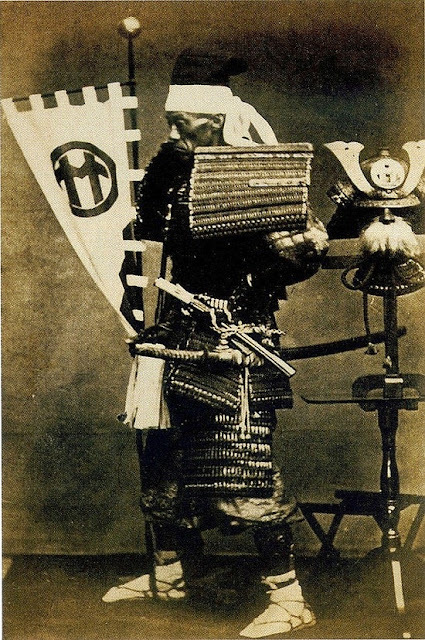 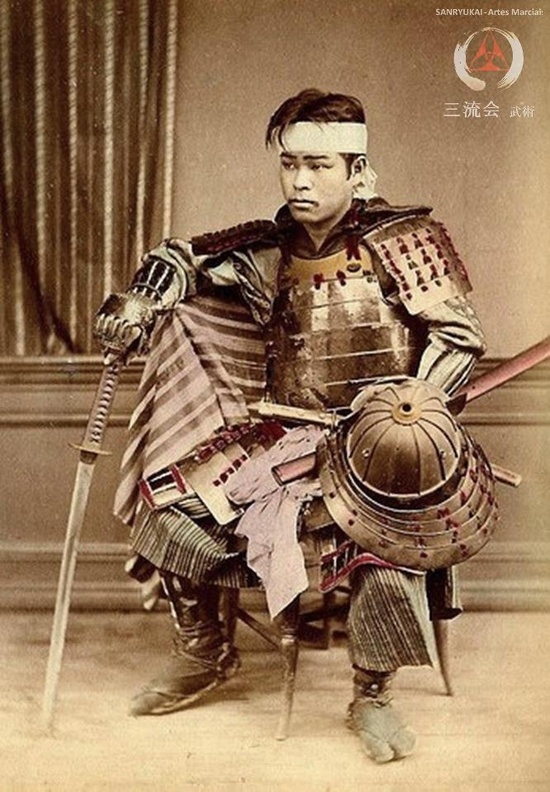 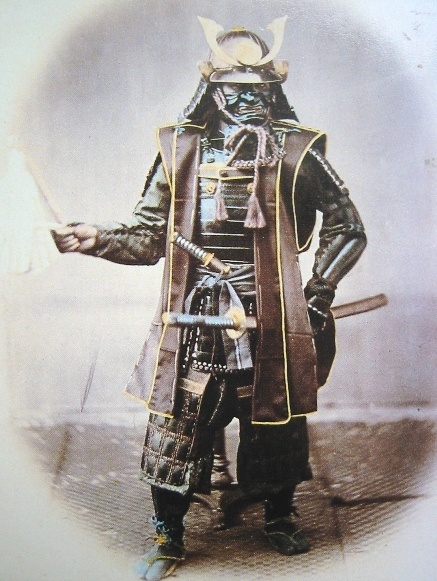 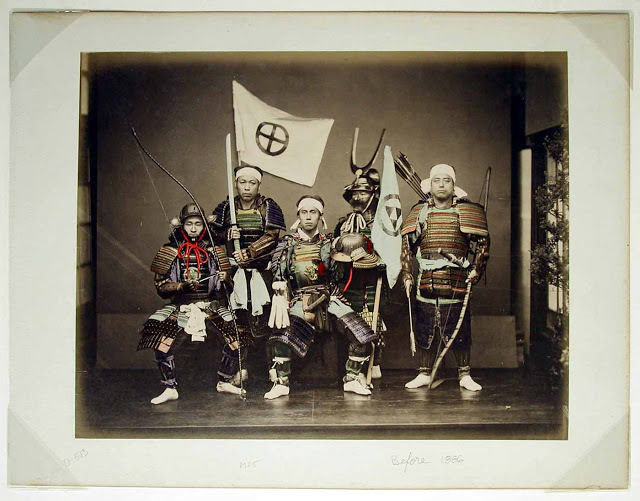 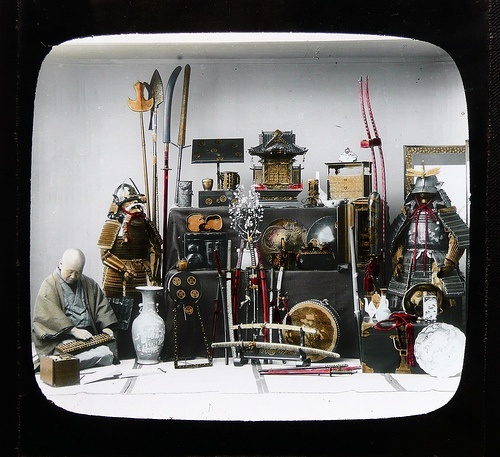 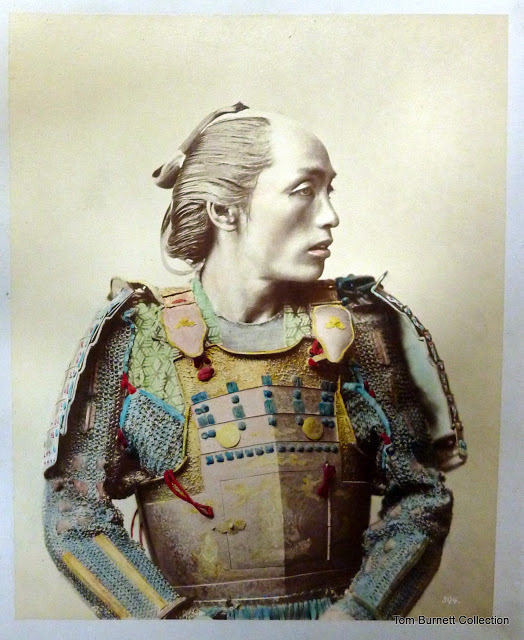 I really love this one of the Japanese antique dealer with his collection of samurai armor and weapons. 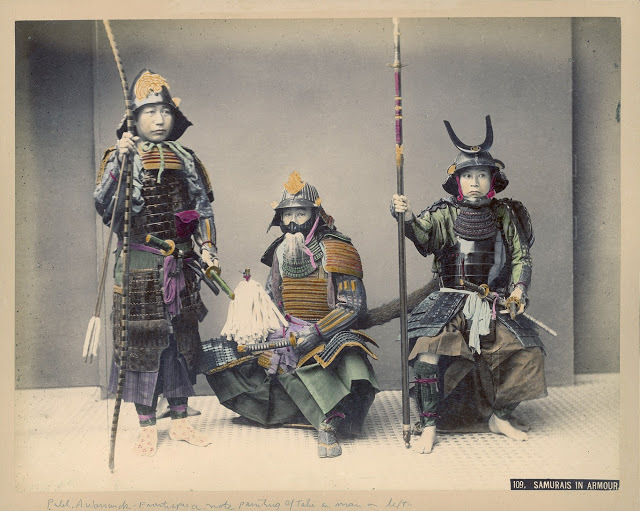 There must have been a real glut of that stuff before it was all scooped up by rich American tourists. 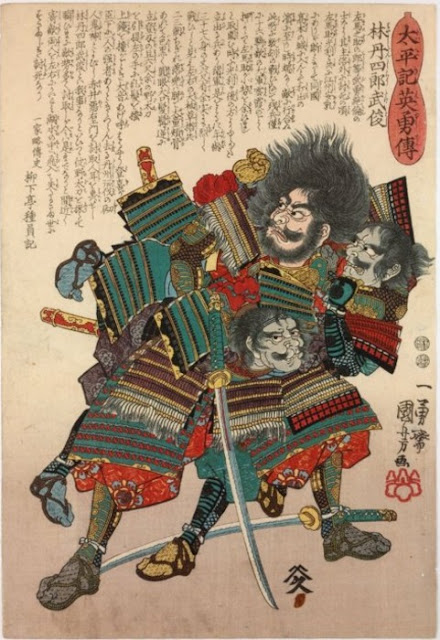 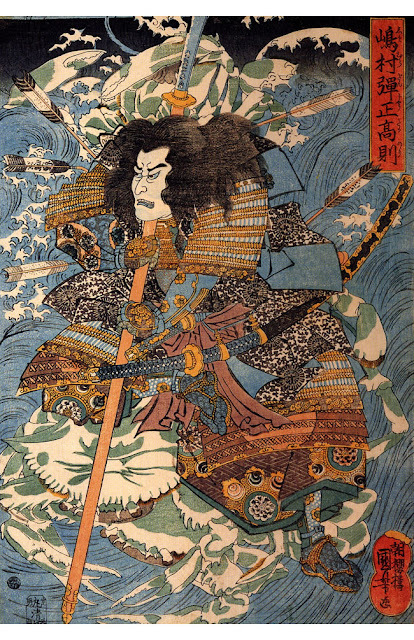 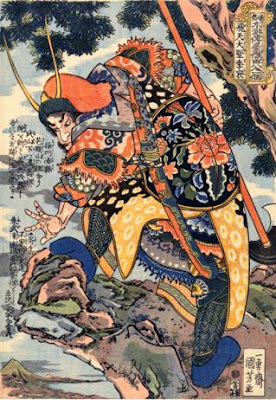 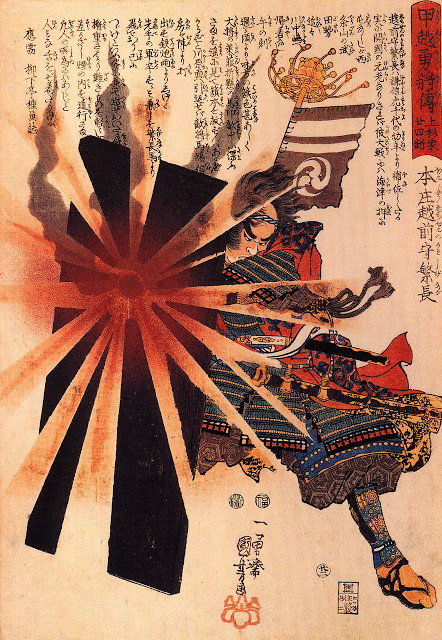 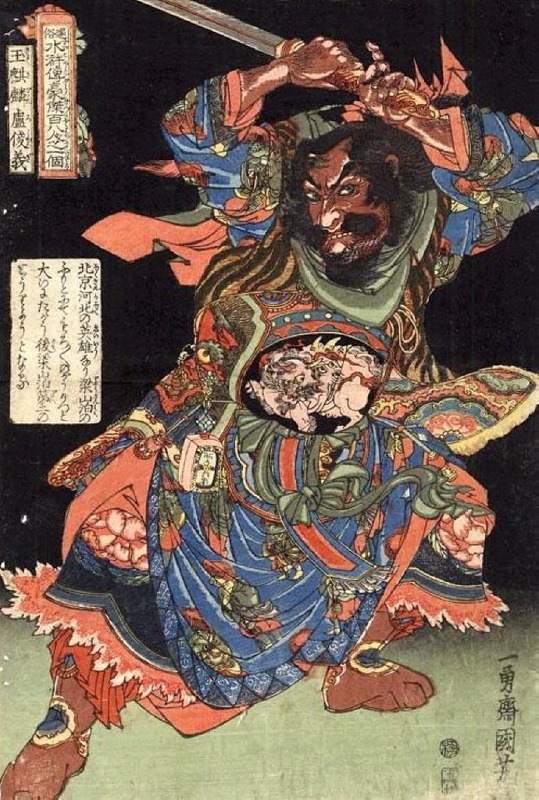 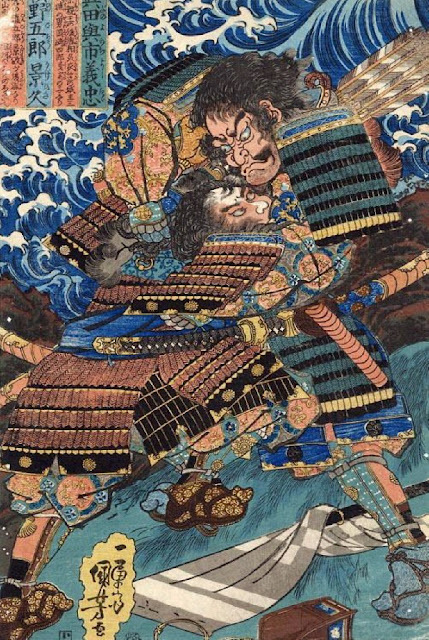 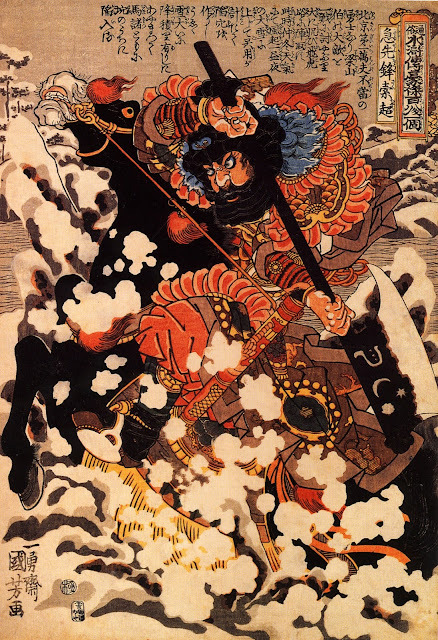 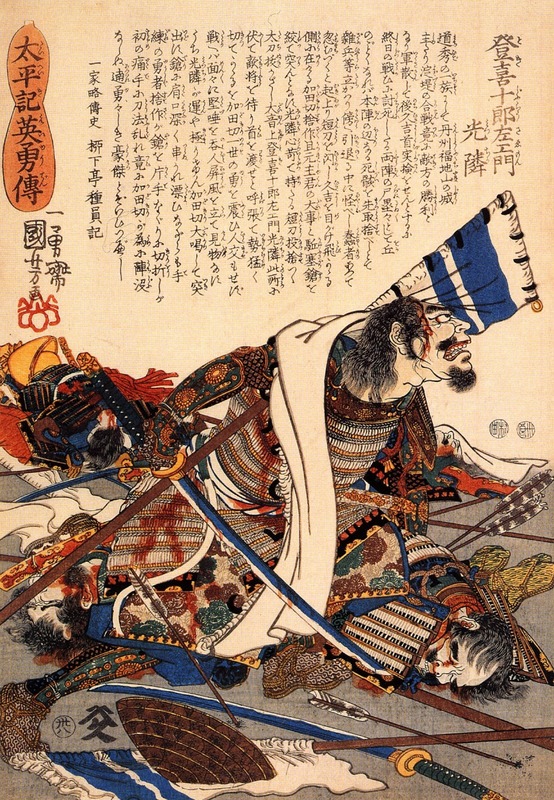 Most of those prints come from Utagawa Kuniyoshi's set of warrior prints Taiheiki eiyu den (Heroic Biographies from the Tale of Great Pacification).